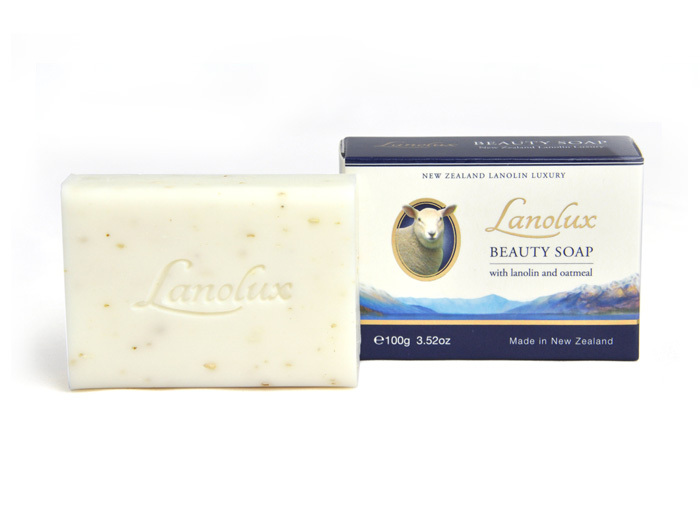 Care for your skin as nature intended with Nature’s Beauty Lanolux Beauty Soap. 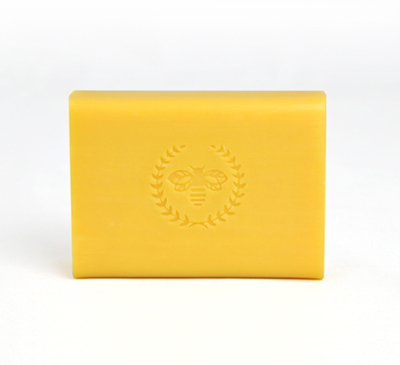 A luxurious gentle soap formulated for everyday use, it combines the enriching moisturising qualities of nature’s purest emollient Lanolin with the natural cleansing, soothing and exfoliating goodness of Oatmeal for a cleansing experience to luxuriate in. 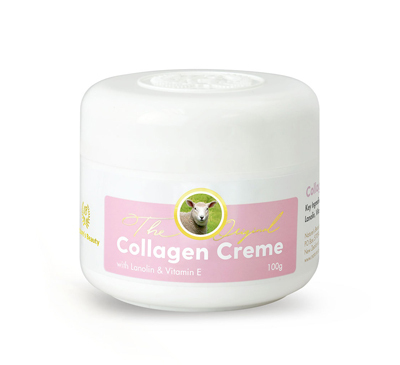 100% New Zealand Lanolin is the perfect ingredient for maintaining skin’s natural moisture balance as lanolin is very similar to the natural oils produced by human skin. Gentle enough for everyday use, lanolin works to moisturise skin, whilst Oatmeal is added to provide natural exfoliation to scrub off the layers of dead skin cells that accumulate, allowing the new and radiant skin underneath to shine through for a more luminous appearance. Oatmeal is a gentle natural exfoliant that can help remove accumulated dead skin cells, unclog pores, and improve the texture and appearance of skin. 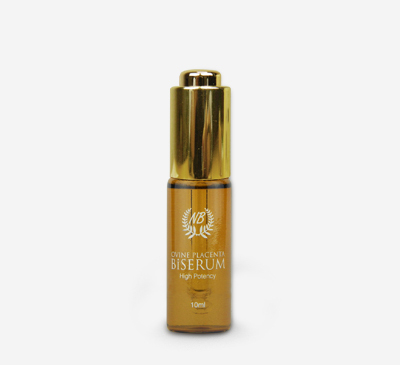 It has also been found to moisturise and soothe skin irritations, and can help improve the skin’s natural barriers. Sodium Palmate, Sodium Palm Kernelate, Aqua (Water), Lanolin, Avena Sativa (Oat) Kernel Meal, Glycerine, Sodium Chloride, Parfum, Titanium Dioxide, Tetrasodium Etidronate, Tetrasodium EDTA.